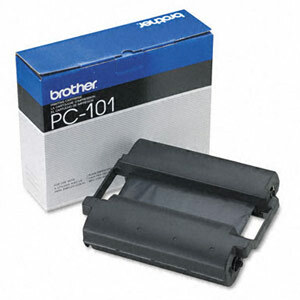 Genuine brand new Brother PC-101 fax cartridge compatible with PPF-1150/1250/1350M/1450MC/1550MC and MFC-1750/1850MC/1950MC/1950+ printers. Copyright Inksmile.com. All Rights Reserved.